It's like that, and that's the way it is. It's been three years since legendary rap group Run DMC last performed in the UK. Announcing today that they will be returning to London this year for a rare one night only exclusive show, it's time to get excited. Set to perform at the Eventim Apollo in Hammersmith on Thursday July 5th, it's time to dust off those fedoras stuffed in the back of your wardrobe and slide that box out from under the bed containing your freshest pair of Adidas. Bursting onto the scene in the early 80s, Run DMC are widely acknowledged as one of the first artists to pioneer the new school Hip Hop sound. 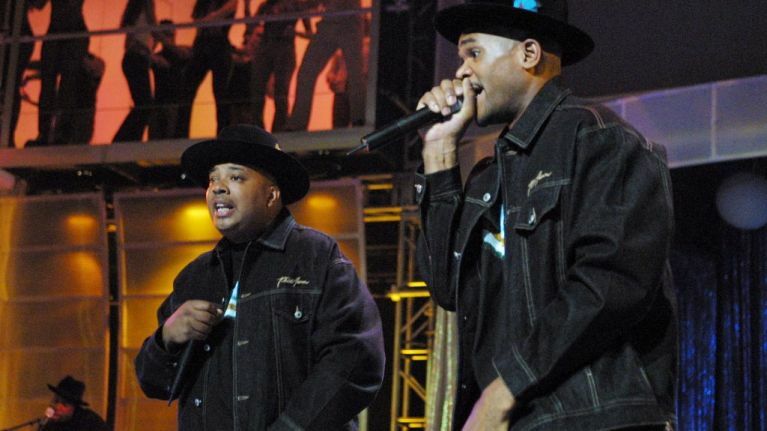 MCs Joseph "Run" Simmons, Darryl "D.M.C" McDaniels and the late DJ Jason "Jam Master Jay" Mizell, are greatly recognised as one of the most influential and famous acts in the history of Hip Hop culture. Achieving notable firsts in the world of Hip Hop and credited as being the most responsible for pushing the culture into mainstream popular music, Run DMC were the first rap act to receive a Grammy Award nomination, to have a #1 R&B charting rap album, to have a music video in rotation on MTV, to be featured on Saturday Night Live, and the first to feature on the cover of Rolling Stone magazine. They were also the first rap act to sign a major endorsement deal with Adidas. They broke down barriers for future rap acts, crossed boundaries between rap and rock and dispelled old notions of what rap could be. With that said they were inducted into the Rock and Roll Hall of Fame in 2009. With over 20 years of pioneering hits, unparallelled solo success, plus collaborating with the music industry’s notable Hip Hop and rock music stars, we look forward to welcoming the most iconic rap group of all-time will back to London for the most anticipated concert of the summer. In other Run DMC news, Darryl "DMC" McDaniels has been named an Independent Venue Week 2018 Ambassador. Founded in 2014 as a way to shine the spotlight on the heroes that own and run small venues all across the country, Independent Venue Week has grown massively in five years. Starting out with just 17 venues in 2014, it has grown this year with 190 venues signed up. “Indie venues are the heart and soul of the music world," says DMC. "They present all musicians and artist on an even platform. It’s all about the music. The bands, the artist the songs. To find out more about Independent Venue Week visit www.Independentvenueweek.com. Pre-sale tickets for Run DMC's exclusive one off show go on sale January 24th while general sale tickets go on sale January 26th. Tickets start at £38 and can be purchased at Ticketmaster, AXS and the Eventim Apollo.